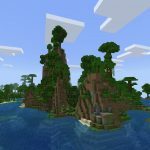 In this Minecraft PE Jungle Temple seed you get exactly what is advertised: an offshore jungle temple out on a small sandbar. Enter the seed ‘ylly’ or by number (3711968). 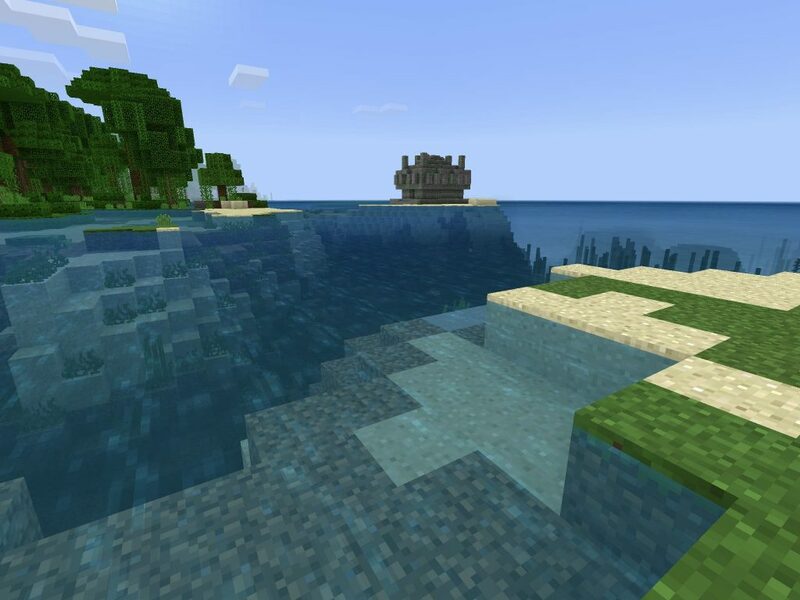 The spawn point is on the ocean’s edge on a peninsula of a jungle biome. 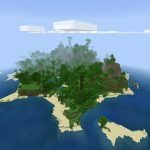 We had our render distance turned up, but not too far, and could easily see the temple which is straight offshore. 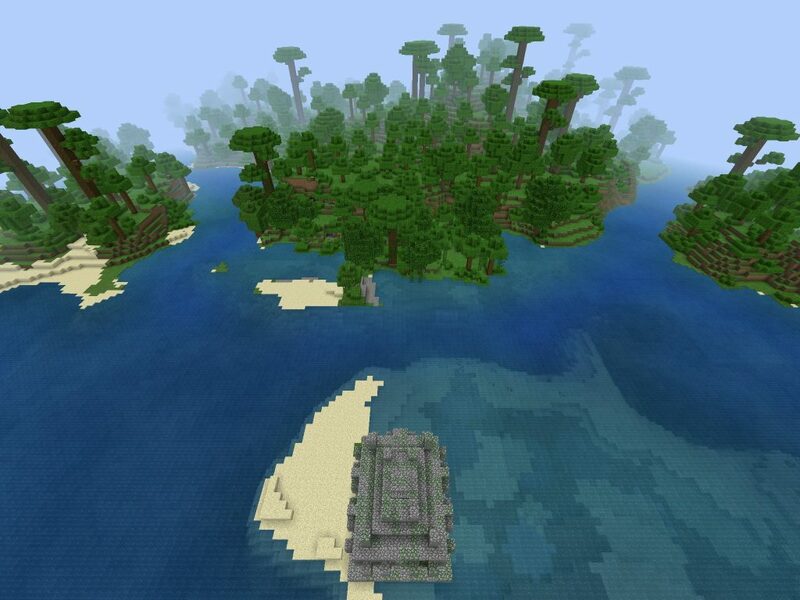 Beyond the temple there’s nothing but jungle, river and ocean. We’d think this would make a great survival game seed. 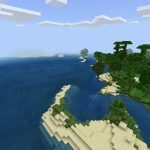 Beyond the jungle temple there’s ocean and a large jungle to explore. 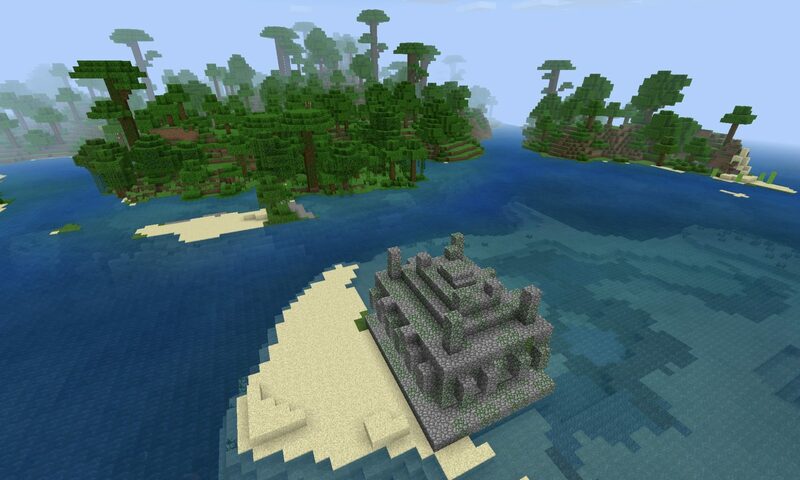 The jungle temple as seen from game spawn.